These presentation slides 39128 are complete compatible with Google Slides. Simple download PPTX and open the template in Google Slides. 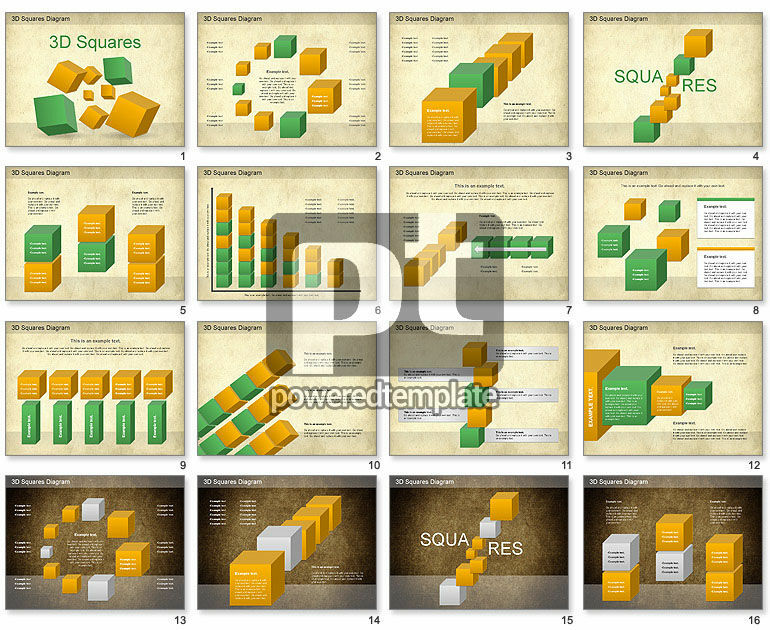 3D Squares Diagram perfect illustration of the mathematical concepts of set theory and other mathematical concepts. Could be used for presentations on statistic, finance, accountant, marketing, etc.